This stamp took quite some time from order to delivery - I spent hours sketching digitally, tracing the design and carving the stamp. 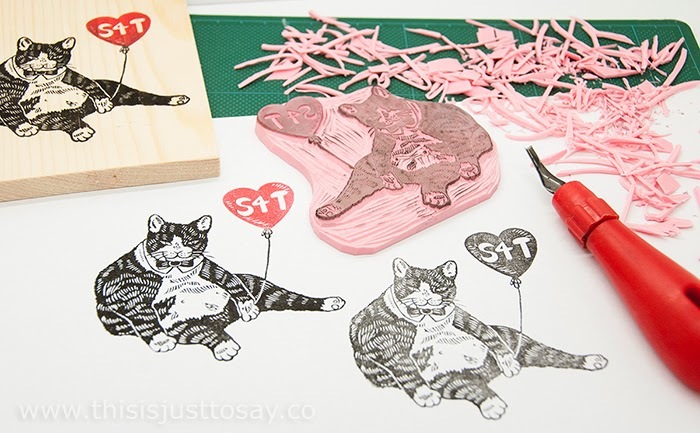 Sam sent over the picture on the left, requesting a 8 x 8 cm stamp of the cat with bow tie and a balloon. He also asked for text on the balloon and for it to be printed in a different color. 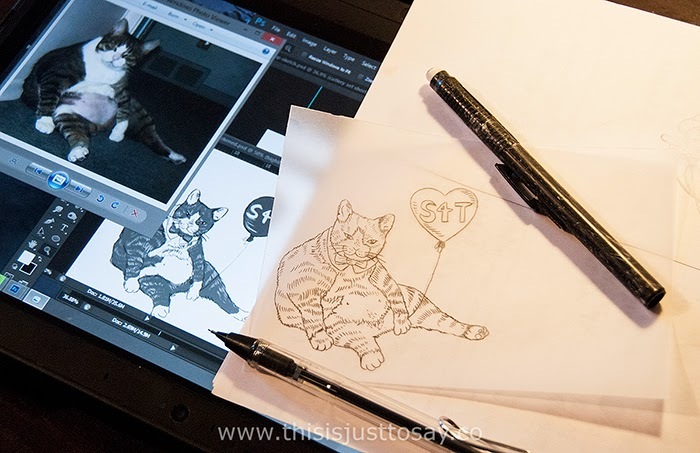 The only change Sam requested after seeing the digital sketch is to have the balloon heart-shaped instead of round. 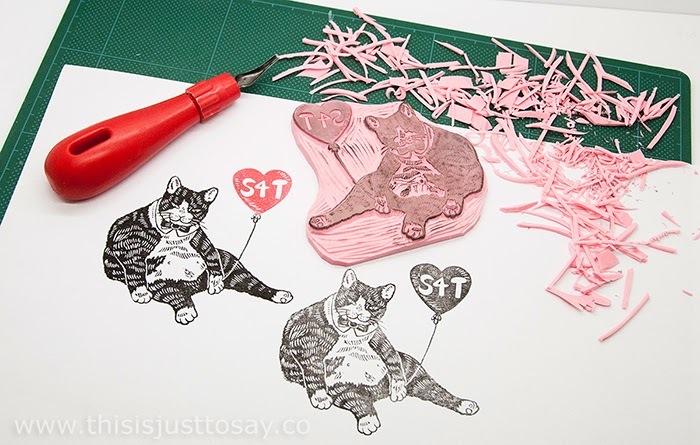 So I changed the balloon bit and went on making the stamp. I was inspired by traditional Japanese graphic art when I carved the texture and highlights of the cat's fur. In the end the stamp was mounted on a piece of unfinished wood. It was such an interesting order to make!